With B.A.P.‘s recent release of “Where are you? What are you doing?” K-pop gave us yet another music video set in a foreign country. There are a few certain locales favoured more than others (looking at you, America), but what if K-pop were to broaden their horizons a little? What do you think of MVs shot in foreign places you are familiar with? 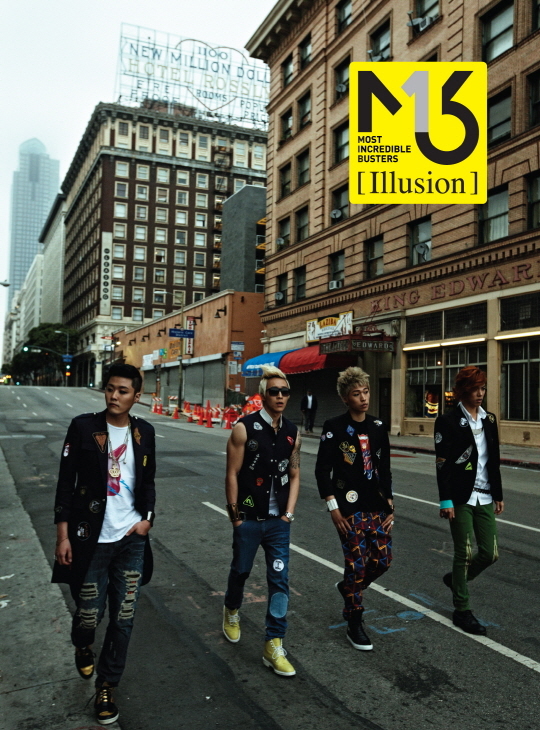 And, what would you like a MV shot in your city to be like? Lindsay: I think I’ve enjoyed every MV I’ve seen that was filmed outside of Korea. The new setting normally correlates with a more interesting MV experience overall. I even liked Beast‘s “Beautiful Night,” despite its skewed representation of NYC’s population. Right now I’ve been going back to Sistar‘s “Loving U” a lot because it is summer and I think it is one of the best examples of an MV filmed abroad. The whole feel of the song fit with the international perception of Hawaii as a fun, colorful, romantic place. The second question is a little funny for me because tons — and I mean tons — of movies and TV shows have been filmed in my city, but I can’t really see an MV being filmed here. Theoretically, an MV with an “old south” theme or a beach MV could be filmed here… but that doesn’t exactly fit with K-pop’s aesthetic. Leslie: I love the idea of going abroad for a different setting. I almost always enjoy them even if they don’t do much for the video like with Teen Top‘s “Rocking.” I love Sistar’s “Loving U,” which Lindsay already mentioned. The concept fit perfectly with the scenery. Louisiana has been a hotspot for movies as of late for some reason so I suppose it wouldn’t be too far fetched for a K-pop group to come here. 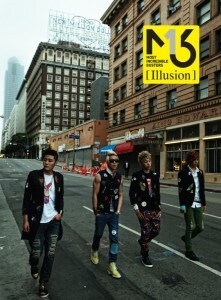 The only place I imagine a group would shoot their MV is the French Quarter in New Orleans. The city has that old-fashioned, Creole feel that’s a different aesthetic from most MVs. The city has a lot of history so they would definitely need to do their research. But I think it’d be a great change of scenery, and I’d love to see them incorporating some of the typical food from here like jambalaya or étouffée. Laverne: I really enjoy the time taken to showcase scenery in MV’s filmed overseas. 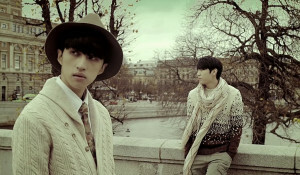 Some of my favorites have been G-Dragon’s “Crooked” and Vixx’s “Only U” filmed in London and Stockholm, respectively. And like Lindsay, I also enjoyed Beast’s “Beautiful Night” solely because it showed different sights and scenery than we have come to expect in a MV. When people think of Florida, they think of old people and beaches and maybe Disney. So an MV shot here would be sure to include the beaches and theme parks. Specifically in my city, it’d be nice to get scenes of the historic-district-turned-party-central and maybe even scenes of the numerous rivers and parks. I’d just like the MV to show things other than the beach. Gaya: Having grown up watching Indian films, I can tell you that K-pop does a really good job with overseas MVs; i.e. almost none of the dancing cuts on foreign streets have a bunch of white people gawking at them, taking the viewer out of the moment. They also don’t try to pass of some random European city as New York. My favourite MV of this kind would have to be Block B‘s “Nillili Mambo,” which was shot in Vietnam. I know the abandoned building where they shot the MV isn’t indicative of Vietnam as a country, but that particular location really fit in with the style Block B had at the time. And that opening shot with them on the boat? That was my favourite image of the whole MV. Ga-in‘s “Irreversible” was filmed in Sydney, but if a K-pop group were to come to Melbourne they should follow Kwang-soo and Woo-bin‘s lead and use our graffitied alleyways, which are now an official tourist attraction. I think they would be perfect for a BTS video, for example: in-your-face urban, yet also sanitised. 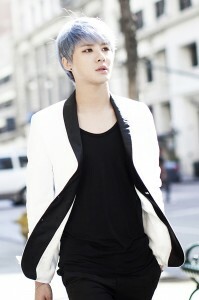 Willis: MVs shot overseas are a nice change up because it presents a different type of environment to see your idols in. If it’s in a place I am familiar with, that is even better. If you know or have been to the locations your favorite idols are traipsing through, it adds another way to connect by sharing the same space – albeit at a different time. There have been a few MVs shot in Los Angeles. Infinite’s “Destiny,” Xia Junsu’s “Uncommitted,” and B.A.P’s “Coffee Shop” are a few off the top of my head. “Destiny” really played on the whole Hollywood blockbuster-esque aesthetic while “Uncommitted” had a lens flare heavy representation. Those portrayals sort of worked for those songs, but as a Los Angeles native, they did not connect to me like how “Coffee Shop” did. The thing with Los Angeles is that the city itself is rather large and the terrain can differ across a few miles, so attempting to cover all that ground in one short MV would probably be impossible to do well. Although it was only a short moment in the video, “Coffee Shop” did a great job of presenting the bright sunnyness of Los Angeles near the iconic Hollywood sign. It was an easily identifiable location and worked well with the laidback tone of the song. Lo: I’ve always had a soft spot for Big Bang‘s “Tonight”. Having never been to Vegas, I’m can’t say for certain, but it captures the flavor of the city. “Tonight” has this sense of being a grand dream, something unrelated to reality, which is how many people, including Americans, see Vegas. What happens there stays there. An MV shot in my hometown of Omaha, NE would be boring and corn-filled. I’m not trying to rag on Omaha, but while we have a good economy, a nice zoo and a talent for hosting large-scale sporting events, we don’t have a lot interesting places, just a lot of corn. One shot at my college, on the other hand would be fun. Louisiana State University is a century and a half old, and has a gorgeous campus, with trees whose branches reach the ground, and murals painted by the WPA in the Great Depression. Everything has this visual weight to it. I think a girl group like Spica or 15&, someone youthful but not agyeo, could do something amazing. Joyce: The only MV that I know was filmed in Singapore is 2PM‘s “Hands up”. While it did manage to capture bits and pieces of our beautiful skyline and tourist attractions, 99% of the MV took place inside a club… which, really? Are there no clubs that look like that in Korea that you had to fly all the way to Singapore to film it? Or perhaps that’s all Singapore has to offer, especially with regards to a K-pop MV — the nightlife, the skyline, the busy streets etc. I can’t really imagine any K-pop MV set in the cultural and traditional corners of our city. I think it’s pretty crucial for overseas MVs to capture locales and shots that would not be possible in Korea, bringing out the beauty of the city. CN Blue‘s “I’m Sorry” MV that was filmed in London is one of my favourites, capturing the unique architecture and streets of the city. It helps that the boys were dressed in a preppy Londoner style, avoiding sticking out like a sore thumb in the gorgeous landscape. Johnelle: There are two MVs that come immediately to mind that were filmed on my home turf of Oahu, Hawaii: Big Bang’s “Always” and Sistar’s “Loving U.” Both showed a lot of picturesque scenes in and around Honolulu and were like virtual CFs for our tourism industry. And while I loved “Always” because it was back-in-the-day Big Bang and Sistar’s “Loving U” was a beautifully shot MV for the perfect summer anthem, they both didn’t reflect more than the made up Hollywood version of Hawaii. Hate to break it to you all, but not all of us go to the beach everyday, always wear bikinis, dance the hula and sip mai tais. And no, we don’t live in grass shacks. It would be cool if someone shot an MV at more interesting locales and not the same old beaches or if someone discovered that there are more islands than just Oahu. Maybe show a grittier side of Hawaii? I also thought it was pretty funny that the guy that was sort-of featured in Sistar’s MV, the one that did the flip, was Caucasian. I mean really, we’re the Melting pot of the Pacific — it would have been better if they had gotten someone Polynesian or Hapa at least. Gaya: Seriously, Sistar were more tan than pretty much everyone else in that MV. Joyce: Can’t blame them for being overzealous in embracing the culture. Also, part of the fun in overseas MVs is seeing the idols film in public without any need for crowd control, since they might not be as recognizable abroad. Fans get the chance to see the idols engage in simple day-to-day activities, while the idols get to somewhat explore a new place. I think it’s a win-win combo for both the fans and the idols. Infinite’s “Lately” immediately come to mind. Laura: Off the top of my head, the only MV I can think of which was shot in Germany is History‘s “What am I to you.” Unsurprisingly their specific choice was Berlin — which was fun for me since I do not know much about History but I was able to recognize some of the locations. I also think they chose the right setting for their song, and the MV was able to convey the general atmosphere of the city. It’s interesting that they didn’t really show any famous sights but rather stuck to smaller well-known facets like the city’s lively club scene. The dichotomy between Berlin’s artistic image (including these lovely old historic buildings) and the fact that the city, much as I like it, is an utter trash can made for a fitting background for their song which deals with a hurtful relationship. I even like to interpret the fight in the beginning as them including the German prejudice that the citizens of Berlin are a rather unfriendly bunch but that might be a bit reaching.